Visually vibrant best of handpicked property listings & real estate PSD Templates included with stunning features and refreshing ideas. Have a look on them and find the best suitable one for you. Dream Home is real estate PSD template designed with responsiveness in mind and perfect combination for HTML 5 / CSS3 websites. Its neat and clean flat design which is easy to customize and much suitable for real estate and property websites. Build up on bootstrap grid pattern framework with fully customizable layers, social media icons and used with google free fonts. Dream Home Real Estate PSD Template available with 2 different index pages, Home version 1 designed to display index with google maps and another version for sliders. Well documented PSD template package bundled with 7 PSD layouts which is perfect combination of aesthetic as well as user friendly design. Unreal estate is clean and stylish PSD template suitable for property listings, real estate agents, brokers and agencies websites to show case their new and existing properties. It has advanced search panel with filters layout and bundled with 9 well layered PSD templates including contact form PSD template. Dot. is clean and minimalistic real estate PSD template included with 60 well designed PSD files features with 4 colour schemes and each scheme has 14 PSD templates and each colour scheme PSD template includes 3 home page layouts, grid styled archive layouts, user registration page, mortgage calculator, advanced search form and more. Dot. PSD template designed using google web fonts, iconsweets and iconsweets 2 free vector icons makes developer work much easier. Casa PSD template is modern looking, well designed, easy to edit, fun to work, layered template designed with responsive in mind. It has very unique design with great features and fuctions and suitable for real estate, property listing, realtor and reality websites. All elements are setup with convenient smart objects and adjustment layers. Bundled with 51 PSD templates are assembled very logical and easily structured and also included with parallax one page and multipage website layout as well. Dream Homes is an awesome IDX PSD template designed based on 1170 grid layout and suitable for real estate, interior decorator, property listings and architect websites. Dream home PSD template has wide range of possibilities to play and edit with this exclusive layout and its most unique IDX template in the market place. Loaded with most unique UI elements to enhance the user experience and bundled with 9 PSD layouts designed with most modern and useful design elements. Homeland is flat style real estate & property listings layered PSD template designed based on 1080 PX grid system and available with 4 stylish home page layouts. There are 17 full featured PSD templates bundled with this package which included with list & grid view properties, advance search form, agency page, news page templates are very handy and Homeland PSD template designed using google webfonts, famous fontawesome and iconsweets icons. Luxury is pixel perfect PSD template designed based on 1140 grid system fits perfectly for realtors, property listing and real estate websites. It has 2 colour schemes and included with pricing filter, mortgage calculater templates with 7 various home page designs to support different types of sliders. There are 32 well organized and layered PSD templates included in this bundle and all templates are designed using google web fonts, Iconsweet basic, iconsweet 2 icons as well. RealEstast is clen and modern PSD template designed using 960 px grid system with free google web fonts. Suitable for real estate, property listing, realtor, portfolio and business websites including with 4 different layouts to display your property listings. Its easy to update PSD template bundled with 12 PSD templates. Citilights PSD template suitable from real estate, agencies and property listing websites and designed based on 1170 pixels and 12 column grid system and included with google web fonts and font based font awesome icons. Citilights bundle contains 12 PSD templates including 3 different home page layouts, various property listing styles, 2 contact page templates and much more. Real Estate is clean and fresh style creative PSD template designed with inutiative and advanced search menu with search filters. Designed using 960 pixels grid layout included with free fonts and icons. Bundled with 9 PSD templates and available with Real Estate PSD template in HTML version too. Pure is creative and unique PSD theme template designed with responsiveness in mind. Available in 5 beautiful colour schemes and suitable for real estate agency, property listings and business websites. There are well orgazine and layered 14 PSD files included in this bundle along with grid & list style category templates, contact page (with google maps) and blog template as well. Sweet Home is pixel perfect premium real estate PSD template bundle has 7 layered PSD files which contains advanced search form, blog and contact page templates suitable to develop real estate, agencies, property listing websites. 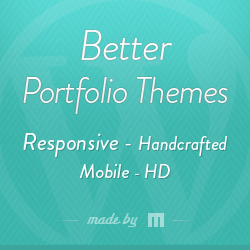 Each and every template designed with care and fully customizable layout and included with retina quality icons. We will keep updating with new property listing & real estate PSD templates whenever its available in any market places. Bookmark this page to come back again.